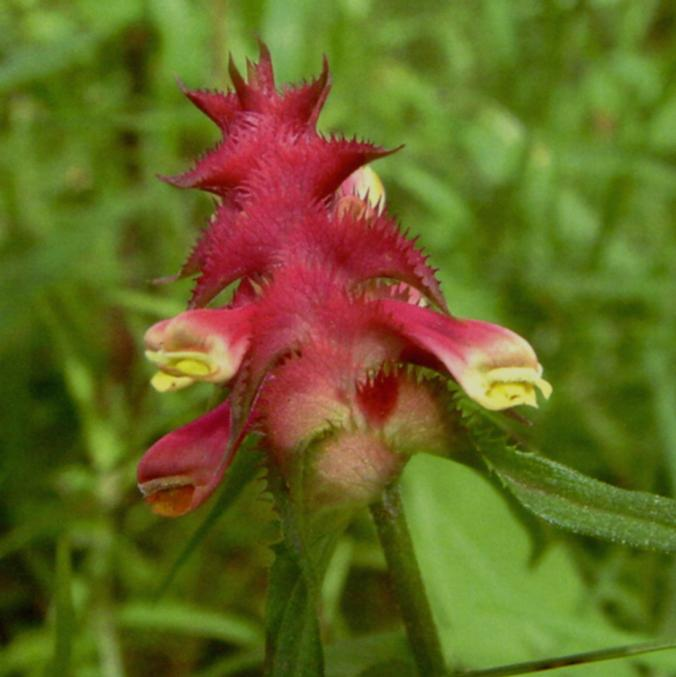 CAN WE GET TOGETHER TO SAVE OUR CRESTED COW-WHEAT FROM EXTINCTION? We once had three species of Cow-wheat in Essex, and up until the early 1970s we had more sites for Field or Purple Cow-wheat, Melampyrum arvense in Essex than any other county. Despite efforts by the Nature Conservancy Council to persuade land owners to save this beautiful plant, and despite being supposedly protected by its red data status under the Wildlife & Countryside Act 1968, the last patch of it in Essex was finished off by dumping a load of gravel on top of it. Now, its close relative the Crested Cow-wheat, Melampyrum cristatum is heading towards the same fate. The Cow-wheats are remarkable plants. Early on in their evolution they became adapted to utilise ants to disperse their heavy seeds by selecting them to mimic ant cocoons, and to equip them with a sweet/oily terminal appendage to attract the ants, so that they take them down into their nests and feed the sweet tissue to their grubs. 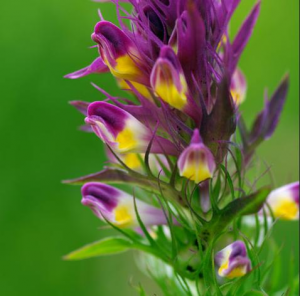 The Purple Cow-wheat is a semi-parasite of grasses, and fortuitously, as well as resembling an ant cocoon, its fresh seeds are virtually identical to wheat grains. Before gravity cleaning of wheat seed, it got spread around with wheat seed, and occasionally became a pest, earning it the uniquely Essex names of ‘mock wheat’ and Hogmiteg. Its last few colonies were however happily parasitizing False Oat-grass in ditches around fields and were not endangering grain crops. Crested Cow-wheat is also a semi-parasite, but it can exploit a greater range of host species than M. arvense, and in NW Essex it seems to be mainly associated with the low growing Dewberry, Rubus caesius. It has always been largely confined to the Chalky Boulder Clay, and until recent years it was quite widespread, on road verges, along green lanes, in hedge bases around arable fields, and in its main former stronghold, – coppiced deciduous woodlands, where it would burst into life in the open phase of the coppice cycle. Many of the woodlands have now either been coniferised, or coppicing has been neglected, and the short-lived seed has become inviable. Green lanes and bye-ways are now managed by the County Council and flailed every July, and the bye-ways have either been churned to a quagmire by 4 x 4s or metalled. A new threat has emerged to populations along hedge bases in arable fields in recent years, by the practice of flailing field margins around arable crops just before harvest, to facilitate turning around of machinery. Furthermore DEFRA will pay landowners to destroy native marginal vegetation and then seed temporary ‘conservation’ strips’. In theory DEFRA says they could pay landowners a grant to manage individual field margins for the Cow-wheat – but they say they don’t have any spare money! Several road verges with the best populations have been designated as Special Verges, but as the plant is annual, any flailing in June hits the immature plants, and any flailing in late summer destroys the flowering plants, – either way the population is deprived of seed for the following year. CAN WE GET TOGETHER AND WORK TOGETHER TO SAVE THIS PLANT. Please contact Dr. Ken Adams on 0208 508 7863 or ken.adams@virgin.net for further information.